The question came from Cornelius’ lips, but Ragtail was drawn to the deeper question in her searching eyes. The deep brown orbs he could get lost in. Cornelius agreed. “I have thanked Kettie and Rose. They stayed with me from start to finish. But we didn’t know what to do until you arrived. Ragtail heard the desperate plea in the question even though her voice stayed conversational. But he was an honest man. “What do you see, Eb?” The question hung open on her face so honest that he wanted to cup her soft cheeks in his hands. If he was going to do it, he’d better git with it. He put his hat on and stood. Ragtail had Damn Donkey down at the wet for good grazing and all the water they could drink before he pulled out of the valley. He’d talked mean to a woman that had asked him for justification of her soul. Only the worst of the desert rats acted like that, and they were usually juiced up on alcohol. He deserved to spend his life alone, leaving his bones to bleach among the tumbleweeds. The nearness of Anna’s voice caused him to jump. Not ten feet behind him sitting on his haunches was Yalla. Anna squatted beside her black dog at the edge of the cattails and tall reeds. “What?” A squiggle of unease tickled Ragtail’s back. Anna stood, Yalla came up on his feet with her, his feral gaze never leaving Ragtail. She pointed at the prospector. If her finger had been a gun it would have been aimed between his eyes. 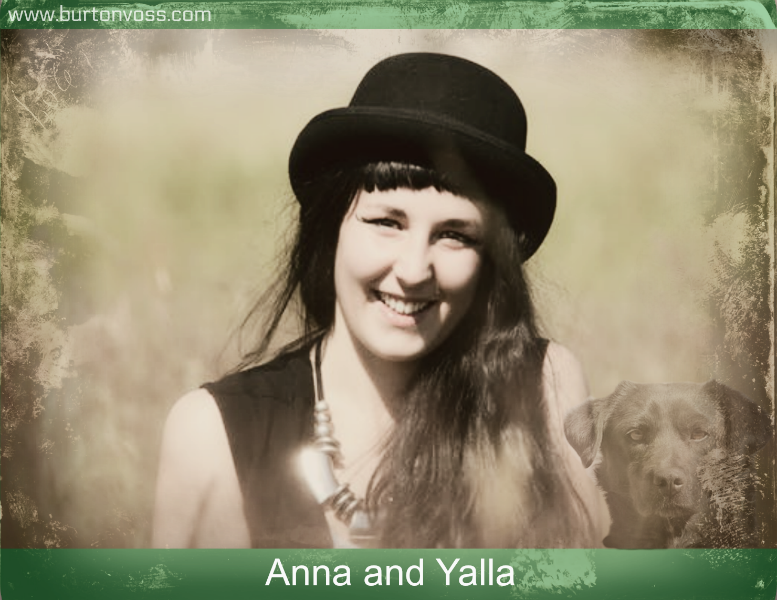 She and Yalla vanished through the brush. Who’s right, Ragtail or Crazy Anna? Leave a comment. To read the series, click on September in the Archive list to the right and start with Tales Old Roy Told.